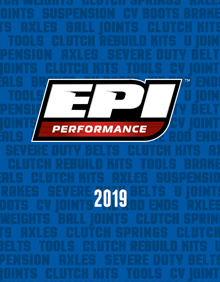 Erlandson Performance has been developing performance Clutch Kits for snowmobiles, ATV's and UTV's since 1991. During that time the company has grown from being a basement-based hobby/business to our current Headquarters & Operating Complex in the Baxter, Minnesota industrial park where we ship daily to distributors and dealers around the world. Over the many years of developing our Clutch Kits, our continued focus and commitment has always been to test every machine right here at our facility, on our own proving grounds where we can apply real-world scenarios and dial in true performance gains that our customers can feel by the "seat of their pants". As we grew, it was a natural fit for us to expand into other areas of driveline components such as axles, CV joints, U joints, bearings, seals and suspension components. We now offer full lines of many driveline components and rebuild kits to restore your machine to like-new functionality. Next to our world-famous EPI Performance Clutch Kits, we've become well known for our exclusive line of Severe Duty Drive Belts for ATV/UTV's. As the industry has grown and enthusiasts found more and more ways to modify and use their machines, we saw the growing need for a "Severe Duty" belt that could withstand the stress and heat of severe applications. EPI's line of Severe Duty Belts are the best belts you can buy, period. Although it's hard work testing all these machines and making sure you have the very best performance products available for your machine, rest assured that we're dedicated to the task. So don't worry about us, we'll just keep on plowing through the mud, climbing the hills, blasting over the dunes and hitting the fresh powder so that you can have the best Clutch Kits and replacement parts available. Really, we'll be just fine. Now go out and enjoy your ride. 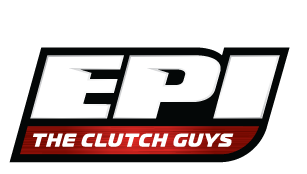 And remember, if you have an EPI Clutch Kit installed...HOLD ON!! !